Assassin is the kind of film that you don’t expect to understand after a single screening. As I left the cinema an audience member spoke to an usher who asked him what he thought of the film. “Well, it was very beautiful”, he said, “I didn’t understand it all, but that’s OK because I enjoyed the experience”. I feel much the same, except I thought I understood quite a bit of it until I spoke to my viewing companion and then started to read the reviewers who did understand it and who had actually discussed it with director Hou Hsiao-hsien (such as Tony Rayns in Sight and Sound February 2016). As I read more about it, the film made more sense but also revealed some of the aspects that I’d either missed altogether or seen but failed to make sense of. I do hope to watch the film again, although I’m not sure where. Assassin is not playing in many cinemas and I do worry about how StudioCanal are organising its distribution. In the meantime there are aspects of the film I’d like to discuss and I’m conscious that there is almost a ‘meta-text’ being constructed in the various discourses about the film both in print and on the internet. The story of Assassin involves a young girl Nie Yinniang (Shu Qi) betrothed at 10 years-old to her cousin Tian Ji’an (Chang Chen) in Weibo, a province on the Northern edge of the empire. When a change in family policy prevents the marriage, the girl is taken to the imperial capital by her aunt who trains her as an assassin to serve the empire. Thirteen years later the young woman ‘fails’ to complete an assassination task and her aunt sends her back to Weibo with orders to kill her cousin, now the governor of the region and becoming a threat to the centre. The main part of the narrative deals with what happens when Yinniang clashes with her cousin. Taiwanese director Hou Hsiao-hsien hadn’t made a feature since Le voyage du ballon rouge, a co-production with France in 2007, when he completed Assassin in 2015 and then won the Director’s prize at Cannes. Before 2007 he made two other films which got distribution in the UK – Three Times (2005) and Café Lumière, (2003) both also co-productions with France and Japan respectively. Before 2003, Hou’s work was quite difficult to see outside East Asia despite his status as one of the most important auteurs in global cinema. (His earlier films in the late 1980s were shown in the UK but have not remained in print.) As a consequence, I suspect some of the reviewers faced with Assassin had little context in which to try to ‘place’ his Cannes prizewinner. To confound critics further, Hou had not previously made a film set in the far distant past, so when he announced his interest in adapting a 9th century tale from the Tang period and exploring the wuxia or martial chivalry genre, a lot of blind alleys seemed to open up. In many ways, approaching the film as a wuxia seems to me if not a ‘mistake’, at least a ‘problematic’ enterprise. For most viewers in the West, wuxia is only familiar through the work of a handful of filmmakers, most of whom are auteurs like Hou. 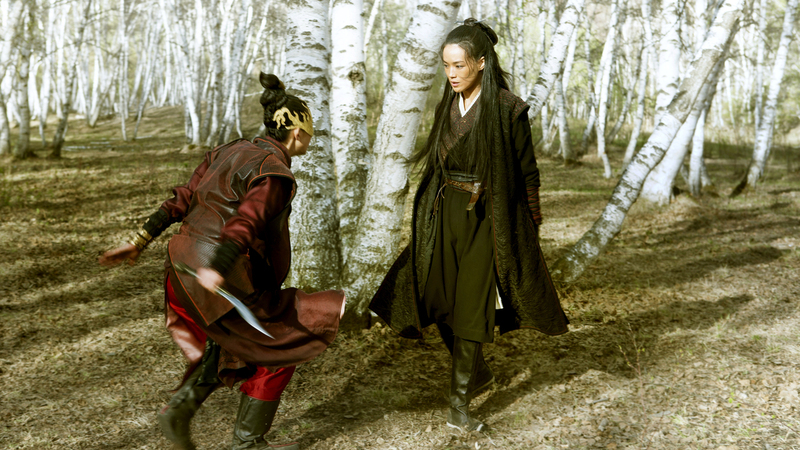 Crouching Tiger, Hidden Dragon by Ang Lee and Hero by Zhang Yimou are the two most widely-seen examples of films with strong elements of wuxia and, even so, neither film is fully satisfying to Chinese fans of the genre. 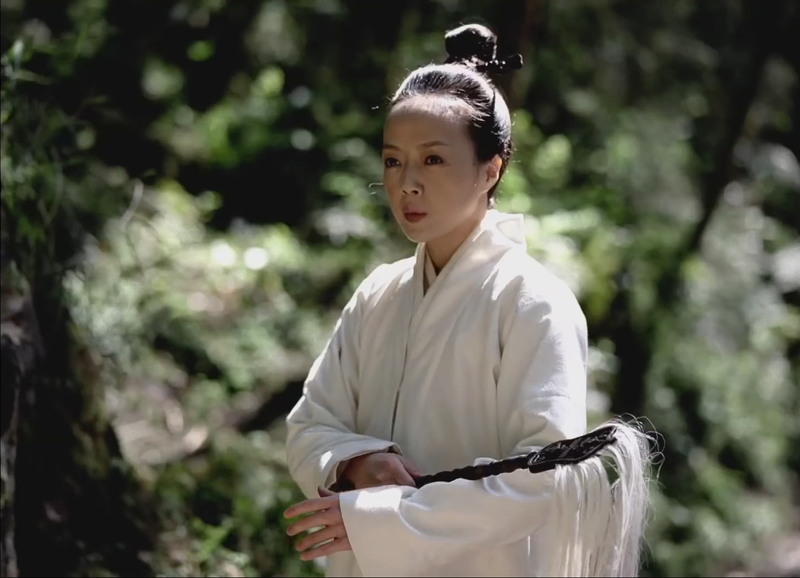 Wuxia implies a ‘period setting’ and a conflict which at its centre concerns the opposition of distinct groups or individuals who practice a school of martial arts – i.e follow a specific teacher and a code of honour. The action sequences will take place in what is known as jianghu. This term seems to have several meanings, but all of them suggest a different, alternate fictional world in which there are different ‘rules’ and identities and in which martial actions are directly linked to philosophical and spiritual questions. (A detailed discussion of jianghu and the elements of wuxia is included at the end of my notes on Hero.) Rayns (2016) suggests that the whole world of the Tang dynasty might be seen as jianghu in Hou’s envisioning of the period. What is certainly true is that there is a profound contradiction between Hou’s approach to the staging of the historical period and his use of certain familiar wuxia elements. It’s possible to see the problems for some critics (and even more so for some distributors) in this apparent contradiction. Hou seeks out the realist presentation and eschews too much reliance on action – which for many fans is the major attraction of wuxia. 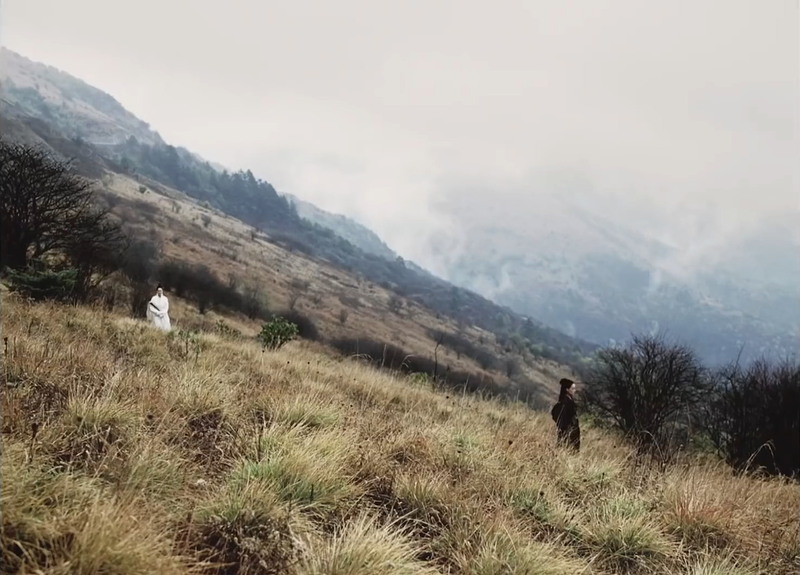 Comparisons with Zhang Yimou’s wuxia films are interesting because Zhang too is interested in those ‘philosophies’, but where Zhang stages the narratives in often spectacular settings – large palaces, hundreds of extras etc. – Hou chooses much more intimate settings – small palace chambers, clashes between groups of a dozen or so warriors etc. Hou also selects to use ‘narrow’ screen shapes – Academy 1:1.37 for the prologue (in monochrome) and something slightly wider for the main film (I thought 1:1.66 but IMDB says 1:1.41, which I’ve never come across before) with at least one insert of 1:1.85. Hou also favours long takes featuring a static or a slowly tracking camera. He doesn’t create the sense of movement with the camera or edits – only with the moments of swift movement by the actors within the frame. For much of the time, the principal character Yinniang waits quietly in the shadows, observing the scene before she acts. As a consequence, some audiences find the film ‘boring’ or ‘uninvolving’. 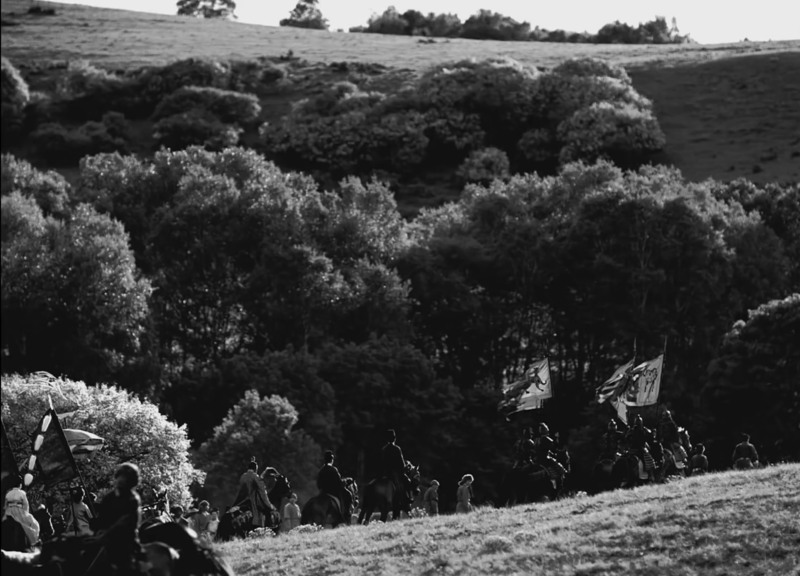 Against this, many scenes are breathtakingly beautiful. Hou travelled to remote areas in Inner Mongolia and Hebei to find the silver birch woods, mountains and streams that become the ‘authentic’ settings for his story. Even with my limited knowledge of Chinese visual arts, I recognised the emotional power of the settings. 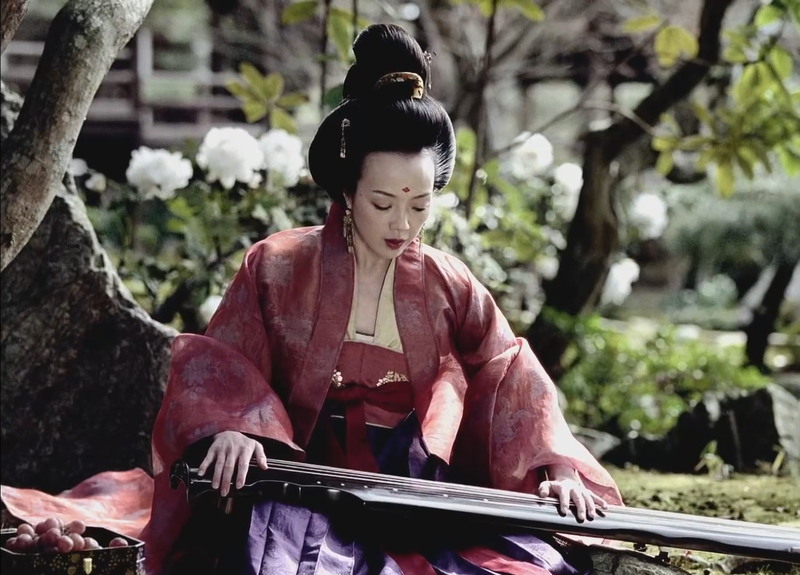 The beauty of the settings is enhanced by Lee Ping-bing’s cinematography. A long-time collaborator with Hou, Lee uses monochrome and colour in startling ways creating a palpable texture for images featuring rain and mists. I was sat quite close to the screen and sometimes there was a high level of grain in the image and at other times the image seemed processed. There were also some very subtle shifts of focus in some of the long shots of figures moving through landscapes. As far as I can tell, Lee shot most of the film in 35mm (except perhaps for the monochrome prologue – on 16mm?). It’s frustrating that I haven’t as yet found any further details online. The interior mise en scène is just as meticulously constructed with costumes and sets designed by Hwarng Wern-Ying. Again the historical detail is more important than any melodrama excess but Yinniang often observes from behind curtains, gauzes etc. which match the mists in the exterior scenes. Thinking about Assassin in relation to the films of Zhang Yimou, I remembered that Hou had been one of the producers of Zhang’s Raise the Red Lantern (1991), a film that intrigues between the wives/concubines inside a war-lord’s house – itself a carefully constructed setting. Zhang also sought out new and spectacular settings for his second wuxia, The House of Flying Daggers (2004). Like Crouching Tiger, Hidden Dragon, Flying Daggers is a wuxia romance with female warriors in central roles and this is a description that might fit Assassin. However, it is another Zhang Yimou film that seems most relevant to me. 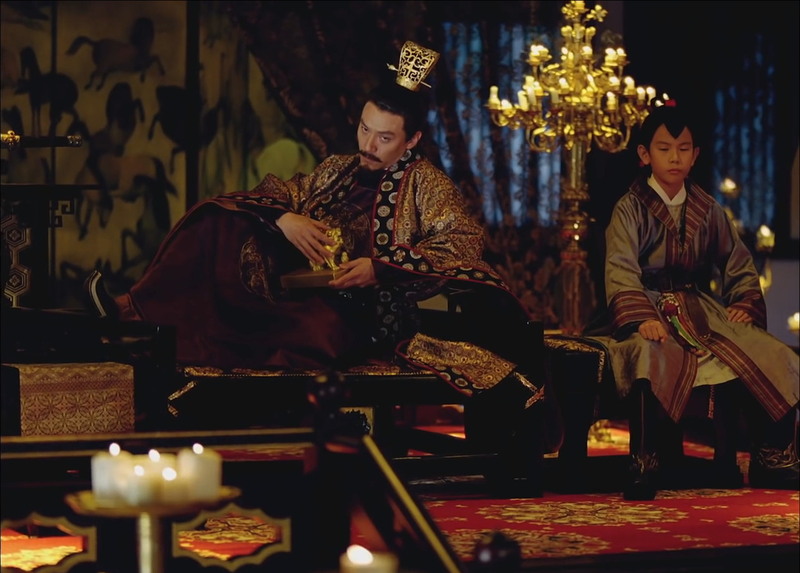 The Curse of the Golden Flower (2006) has a similar structure of brief moments of action set between what is effectively a power struggle within a royal household. It’s much more spectacular than Assassin but the importance of the intrigue and the conflict of family ties and real politik is similar. Hou’s final trick in making life more difficult for the audience – and adding layers to the intrigue – is to use another story told by a character as a kind of key. This is the story about the bluebird given as a gift. The bird fails to thrive until someone suggests that a mirror is put in the cage and then the bluebird revives, singing and dancing to its own reflection. Here is the clue to both the script and casting decisions. Many of the characters are ‘doubled’ and the casting and costumes/make-up seem to deliberately attempt to confuse the viewer – they certainly did for me. Thus it isn’t easy to distinguish between the wife and the concubine of Tian Ji’an and similarly Tian himself is sometimes easily confused with his officers. My first task when I re-watch the film will be to make sure I know who is doing what to whom. Hou Hsaio-hsien is a case study director in Chapter 11 of The Global Film Book. This entry was posted in Chinese Cinema, Literary adaptations, Melodrama and tagged Hou Hsaio-hsien, wuxia. Bookmark the permalink.